Our latest Must-Haves list is all about storage and organization, and five new home accents from our Winter 2019 catalog. These items are decorative, but they also function as helpers throughout your home so you can stay on track, stay organized and keep your rooms as tidy as possible throughout the year. 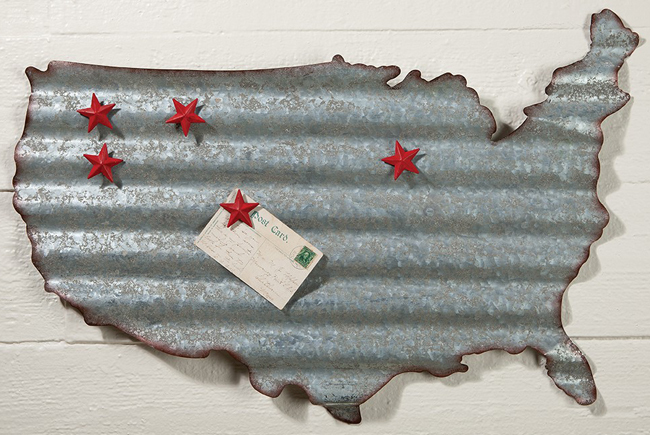 This magnet board adds Americana charm and a place to hang important notes, grocery lists and even a photo or two on a wall of your home. The five star magnets are included, too. 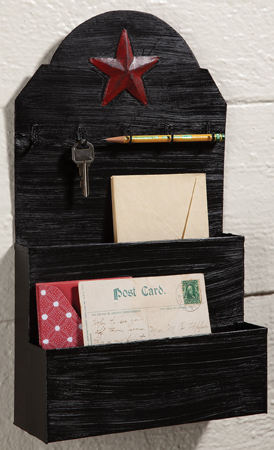 This metal wall organizer coordinates with the above magnet board, although it will keep your organized all on its own. With five hooks and two envelop slots, this multi-functional home accent is perfect for a kitchen or home command center. With the start of the new year, it’s time for a new calendar. 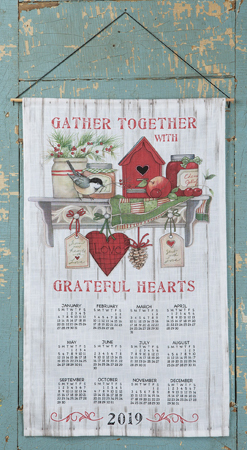 This one is designed by artist Susan Winget and includes everything you need to hang it on a wall – besides a nail or hook. Keeping track of the days and weeks will be a breeze. 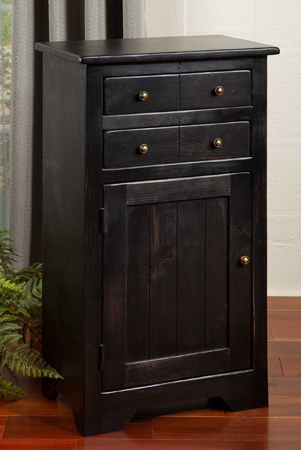 Our newest storage cabinet is made in the USA and offers versatile storage without taking up a lot of space in your home. The brassy hardware offers an antique look, and with the choice of a black finish or stain finish, this home furnishing will fit right into your personal style. This set of bookends may be smaller than these other must-have items, but their reputation for tidiness and organization is just as large. 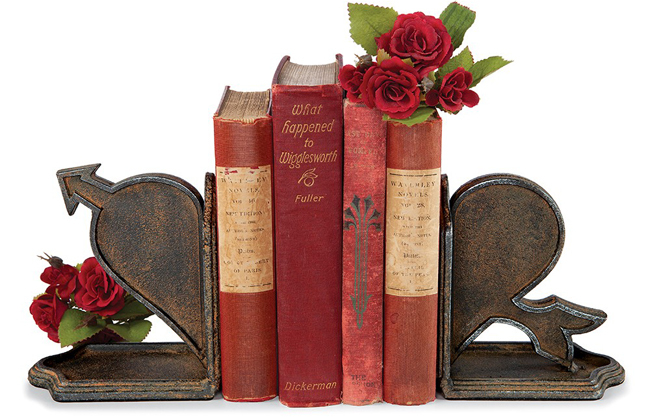 Crafted out of cast iron, these durable pieces will sturdily support your favorite books on a bookshelf, desk or mantelpiece. 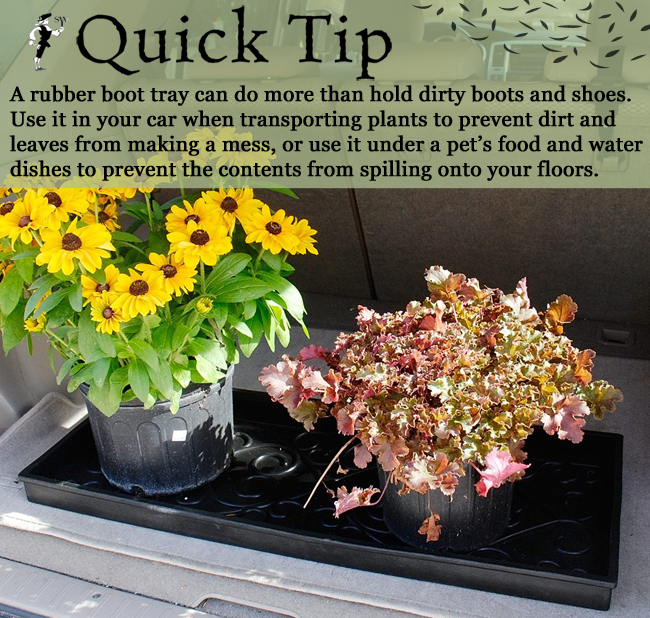 A rubber boot tray can do more than hold dirty boots and shoes. Use it in your car when transporting plants to prevent dirt and leaves from making a mess, or use it under a pet’s food and water dishes to prevent the contents from spilling onto your floors. Our Fall 2018 catalog is now live, and if you’re not yet ready to flip through pages of Halloween and Harvest decor, don’t worry! 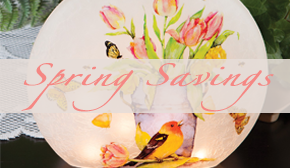 There are still plenty of items that can be incorporated into your home all year long. Today we’re featuring five of those items, which are not only decorative but also offer every day function. First is our Pleated Bronze Adjustable Floor Lamp. Three of the best things about this lamp are its decorative pleated shade; its adjustable functionality; and its sale price (Fall = Lighting Sale here at Sturbridge Yankee Workshop). Not only does this lamp adjust vertically, but the arm also swivels so you can direct light where you need it. The 3-way bulb socket also means you can adjust the amount of lighting in a room. 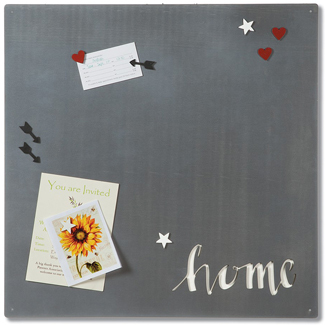 The Home Magnet Board is a laser-cut home accent that is simple in design but highly functional in your home. The nine magnets are included so you can start organizing right away. This next item is already a favorite among us here at Sturbridge Yankee Workshop. 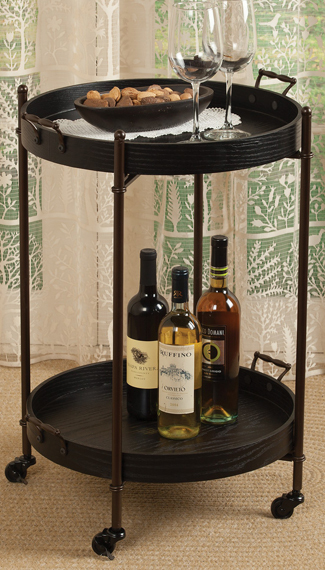 The Removable Tray Bar Cart is ideal for entertaining, but its multi-purpose potential gives it must-have quality. Both wood trays on the metal frame are removable, so you can easily serve guests or move food from the kitchen to another room. The wheels make it a breeze to move the entire cart, and they feature a locking mechanism that will sturdily hold this furnishing in place. 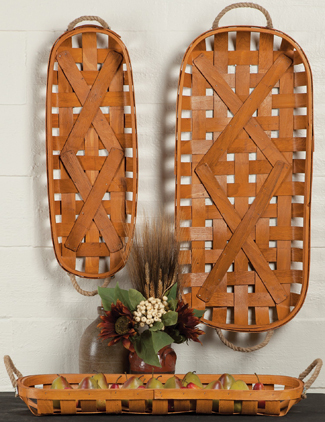 The charming design makes it beautiful for displaying all year long, but since the trays are removable and the frame easily folds up, it’s a cinch to store, too. What’s better than a rustic wood basket? Three of them! The three baskets shown below make up a set to give you more styling options in your home. Hang this Basket Trug Set up on a wall or place on a tabletop to hold fruit (liner recommended), flameless candles and collectibles within a centerpiece. 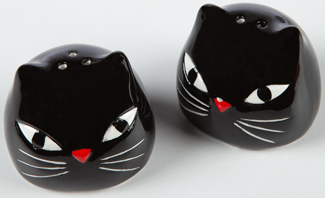 Last but certainly not least are the Black Cat Salt & Pepper Shakers. These whimsical kitchen accessories are perfect for any cat lover, and will decorate your table or countertops while offering extra seasoning for your meals. They also come in handy as a fun gift for a friend. Which one of these must-haves is your favorite? Share your answer in a comment below, and find all of our new Fall 2018 home accents here.